NEW PRICE REDUCTION (2/15/2019) - CHARMING SAILBOAT WATERFRONT WITH OWN DOCK AND ONLY 900 FEET CANAL TO OPEN PEACE RIVER. A Boaters Dream Location! Amazing opportunity! This property will sell soon! See video on YouTube. 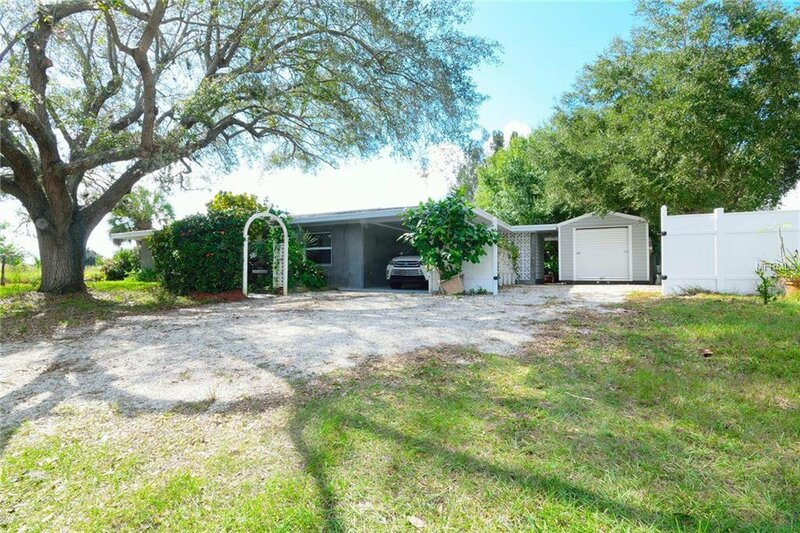 Search for 3473 Desoto Dr. Punta Gorda Florida. Concrete seawall, wood dock with electric and water makes it easy to maintain your boat. No bridges to open water and the Gulf of Mexico. Only the I-75 and 41 bridge with 40+ feet clearing. With over 1600 square feet of living space this MUST SEE two-bedroom, two bath, offers many bonus features. Beautiful building features. Block home with new stucco and rounded corners. Home features a living room, dining room, and kitchen overlooking large enclosed Florida Room. Refurbished terrazzo floors throughout the home. Wood cabinets, granite counter top. Stainless steel appliances. Beautiful view to the large paved patio and the canal makes time spent in this kitchen a joy. Both Master Bedroom and the Guest Bedroom feature large closets with wood louvered doors. All appliances included as well as washer and dryer. Outside is a tropical oasis featuring lush landscaping and a sizable paved patio. Bonus features. For the artist in the family, an art/craft room and for the handymen, two storage sheds one is 12x20 ft with electric. For family and friends, custom Tiki bar and a large inviting spa with swim jets. Dock your boat right in your backyard. Community playground with tennis courts, boat ramp. Deep Creek Golf Course nearby. Close to everything. Listing courtesy of HOME MAXI LLC. Selling Office: RE/MAX ANCHOR OF MARINA PARK.